Here's some general info that you'll find via sfgov & also some tips I have for you. Ceremonies are on Monday-Friday, 9:00 am-3:00 pm. 1- Schedule an appointment to obtain your marriage license, and pay an administrative fee. • If possible get your marriage license on a different day than your actual ceremony. That way we don't have to spend part of your wedding coverage time waiting. Sometimes it can take 20-30 minutes or more before you get a chance to sign in to the clerks office. Especially on Fridays. • If you’re getting your license the same day as the ceremony, make sure to schedule your license appointment at least 30 minutes before your ceremony appointment. 2- Set up a second appointment for the actual civil ceremony. • You may only book your civil ceremony appointment no earlier than 90 days in advance. 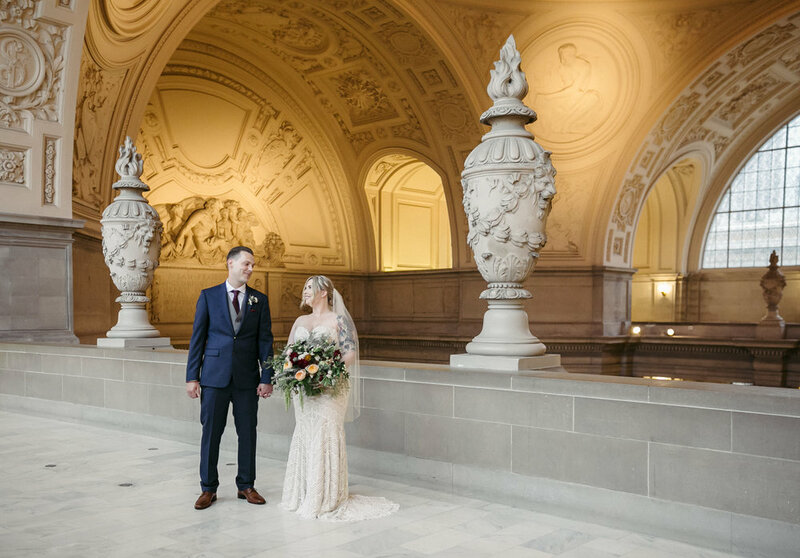 • There are two types of ceremonies at San Francisco City Hall – civil ceremonies, which are public and by far the most popular, and private ceremonies. 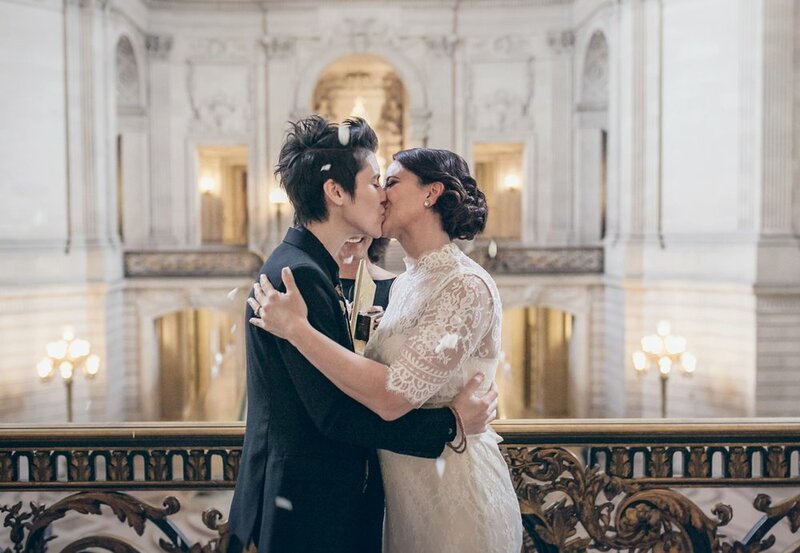 Civil Ceremonies are public and performed on the main rotunda, at the top of the grand staircase. Only six guests are permitted due to space, tho I’ve been there with 20 guests… Up to three couples are scheduled for every half hour slot. They are about six minutes long, and a volunteer judge officiates. Some officiants are really nice, some can be a bit grumpy, ha. I can meet you in the line outside the clerks office. I typically arrive 15mins before your appointment time & wait with you. You must check in to the Information Desk in Room 168, at least 10 mins before your ceremony time. This can often take longer than 10 mins, so that's why there's no need for me to arrive any earlier. I will arrive 20-30mins before your ceremony start time, so you know I'm there & I can usually find someone from the wedding party or the groom to tell me where the bride is etc. 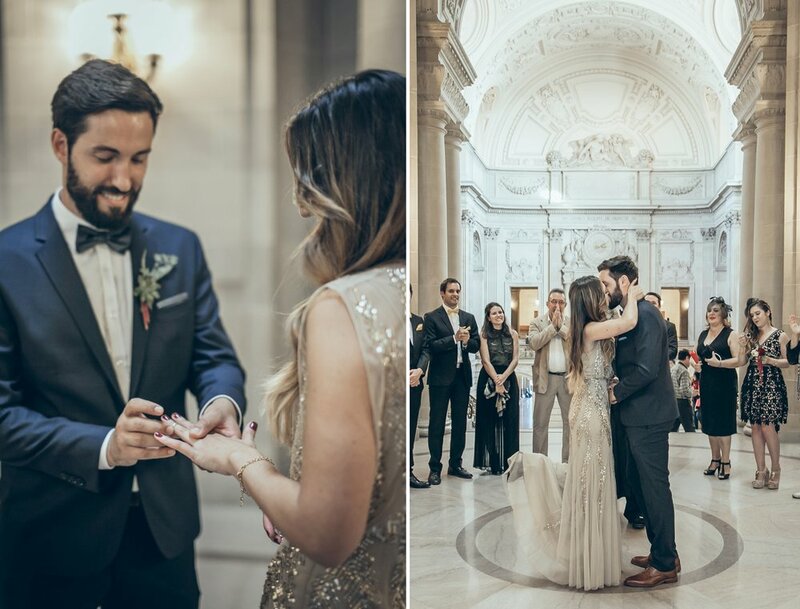 • If you are planning to get married at San Francisco City Hall from across the world, all you need is valid passports. City Hall commissioner will perform your ceremony while we can act as your witness. 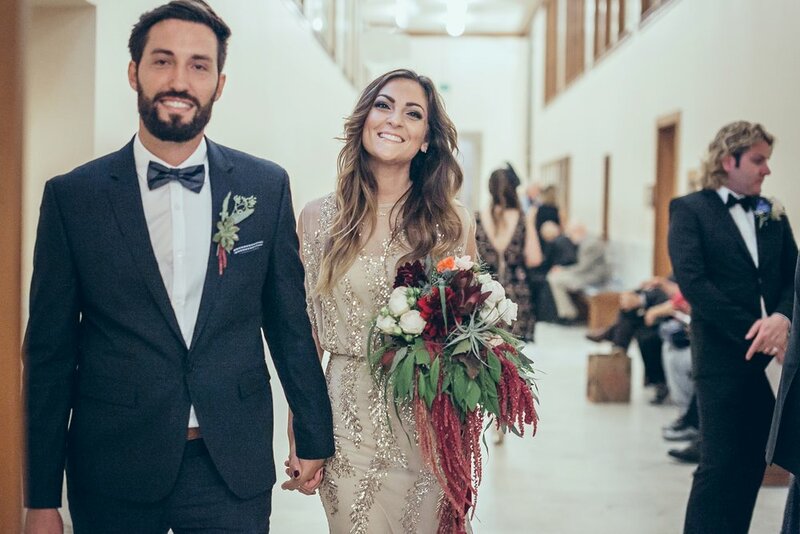 • If you’re planning a dinner reception, the last civil ceremony is at 3PM. 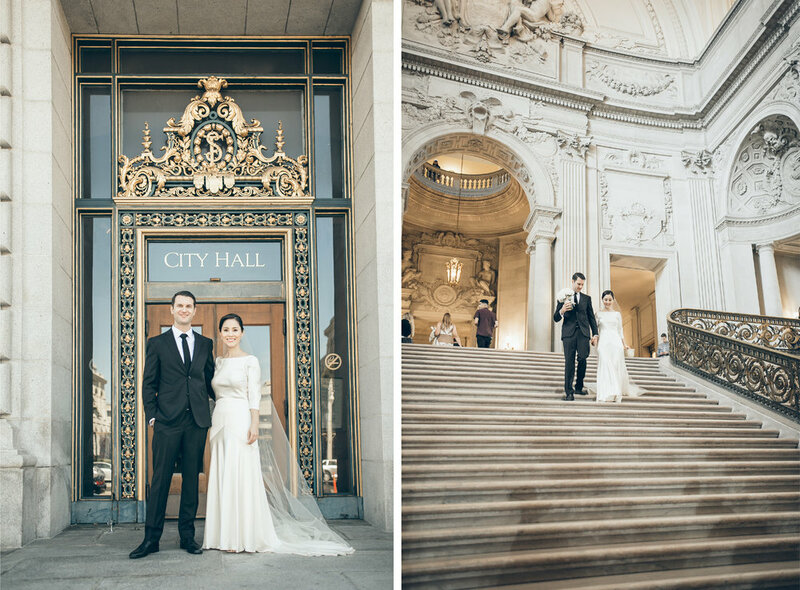 • For many of my city hall couples, we are usually meeting for the first time right before your wedding. I have a dark wavy bob hairdo, and I'm half Chinese. • With SF's terrible traffic I have stopped driving so I don't have to worry about parking. I can carpool with you to the 2nd location or you can call a lyft/uber. • For brides, you might want to bring walking shoes (if we are going to the woods or beach), something warm and easy to put on/take off. 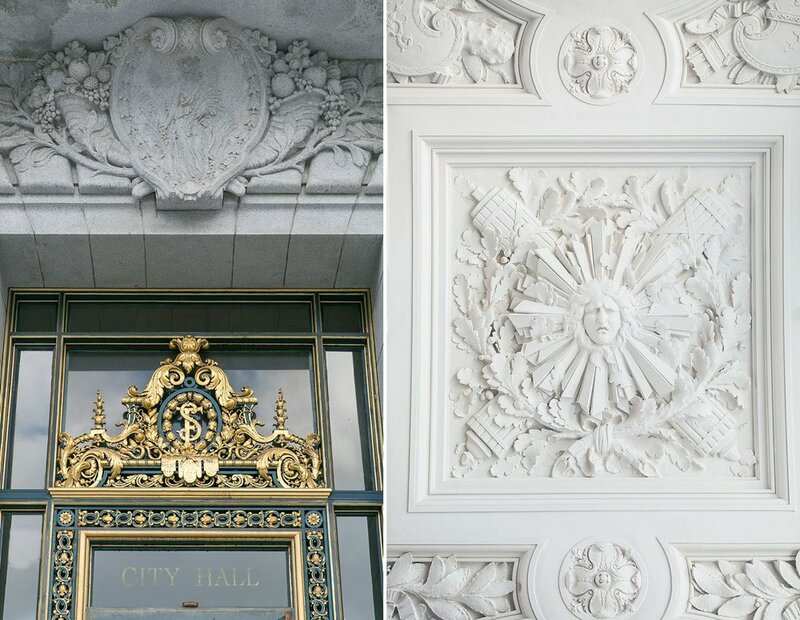 BACK TO CITY HALL & ELOPEMENT PACKAGES.